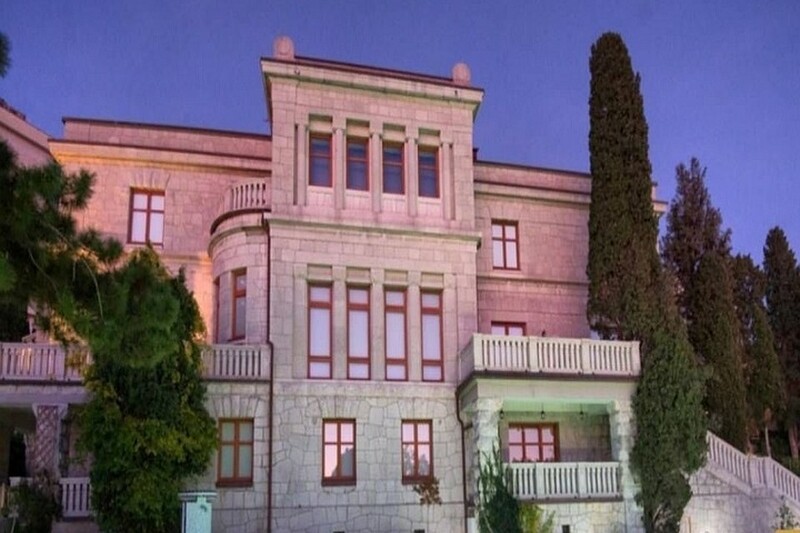 In the illegally annexed Crimea, a historical estate Murad-Avur of the early 20th century, located in Miskhor, is put up for sale. The price of private real estate is 1.1 billion rubles. The land area under the palace is one hectare, Primechaniya reported. Announcements are published on several Russian real estate sites. The real estate agency 360 Flat is supervising the deal. The area of the palace, built of wild stone, is about a thousand square meters. The main building has seven bedrooms (each with its own bathroom and dressing room), an oriental-style front hall with a fireplace and a grand piano and marble carving, an entrance hall, a dressing room, a kitchen with modern appliances and a wine cabinet, a grand dining room, and a mahogany study. The estate also includes a guest house with 4 bedrooms, a garage with a guest floor with 2 bedrooms, an outhouse with 4 bedrooms with a housekeeping granary, a summer kitchen, a swimming pool and a park area. 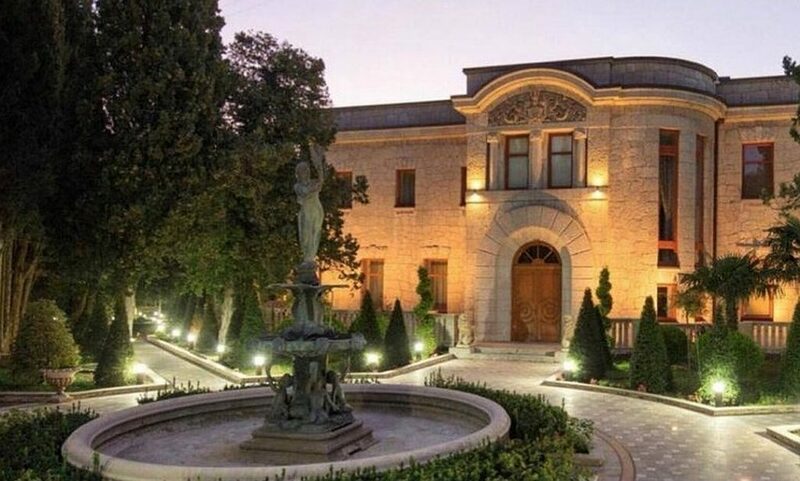 According to the ForPost Sevastopol edition, the estate is now owned by the family of a well-known entrepreneur in St. Petersburg Gennady Lokotkov. 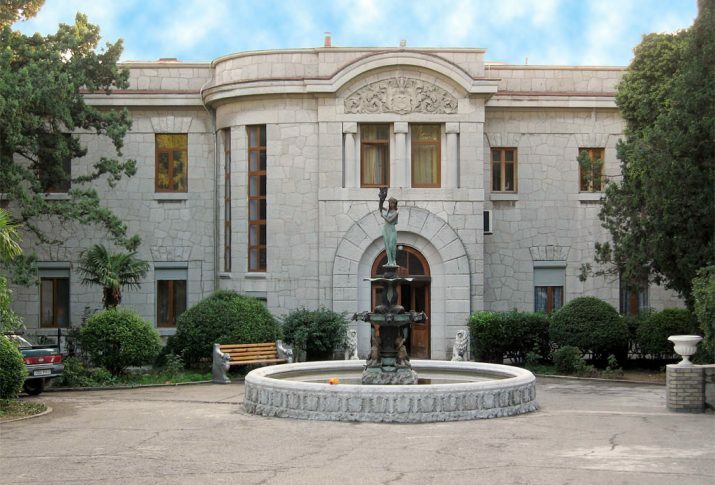 The publication refers to the materials of the “Arbitration Court” of Crimea, according to which Tamara Lokotkova, the spouse of a Russian businessman, bought a land plot of 5910 square meters, on which the estate is located from the Yalta administration. In advertisements for the sale of Murad-Avur on the Internet, a plot of one hectare is indicated, thus where another 4090 meters went, remains a mystery. According to the “State Committee for the Protection of the Cultural Heritage of the Crimea”, Murad-Avur is not an object of cultural heritage and is not registered. “This mansion, as I recall, was state property — it was the Marat sanatorium — and then it was transferred to private ownership. If it is not an object of cultural heritage, then it fully deserves to be one. Because this is a famous building, South Coast Architecture”, Andrei Malgin, director of the Central Museum of Tavrida, commented on the sale of the estate to Interfax. The estate “Murad-Avur” (“wish come true”) was built for General Nikolai Komstadius in the years 1908-1911. The author of the project was Nikolai Krasnov, the architect of the highest court, who, at the same time as the construction of this building, was raising the white Livadia Palace for Emperor Nicholas II. In 1921 the building was nationalized, on its base the sanatorium “Marat” was opened. Now the house is in private ownership.